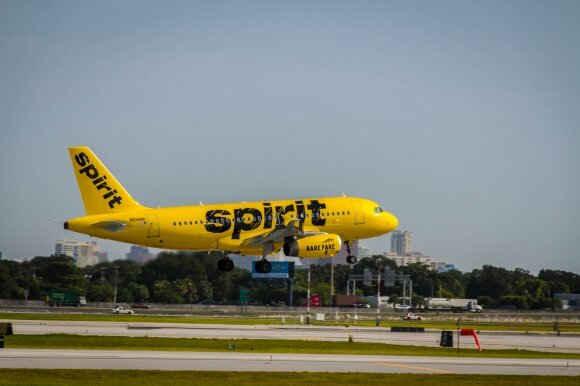 US low-cost carrier Spirit is to further expand its service to Colombia later this year, with plans to open a fifth destination in the South American country. Spirit will this winter being non-stop scheduled passenger flights from Fort Lauderdale-Hollywood to Alfonso Bonilla Aragón Airport in Cali, Colombia. Starting on 20 December 2018, the one daily service will be operated with either a 145-seat Airbus A319 or 182-seat Airbus A320 aircraft. The route is being timed to capitalise on the seasonal travel at Christmas, when many Colombians living in South Florida return home to friends and family. The city of Cali and the Valle de Cauca Department region serves as home to more than three million people, and will mark Spirit’s 68th service station in its growing network. Cali is Colombia’s third largest airport, with a 7.6 percent capacity share of total departure seats in 2017. Its largest airline, national carrier Avianca, will this year offer more than two million departure seats. The new route to Florida comes at a time of ongoing expansion for the airport, which last year opened a new international terminal to help deal with rising demand. Covering an area of almost 20,000 sq m, the building cost $75m to construct and means the airport is now capable of handling ten million passengers per year. Mark Kopczak, Spirit Airlines’ vice president of network planning. “After starting service there more than a decade ago, we continue to see amazing demand by our Guests wishing to visit family and friends or enjoy a vacation full of culture and cuisine. Leading aviation consultancy ASM worked to secure Spirit’s arrival at Cali and the new route to Fort Lauderdale-Hollywood. David Stroud, managing director of ASM, said: “A big growth area for Colombia is clearly the US market and so it is a real coup for Cali to secure the arrival of Spirit. Ricardo Alberto Lenis Steffens, Aerocali’s general manager, added: “The announcement of the Cali - Fort Lauderdale route is the sum of Spirit and Aerocali’s efforts to develop new air routes. The start of operations of this airline will expand the network of connections within the United States, beyond their hub in Fort Lauderdale. 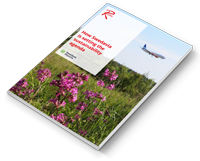 "We are pleased to have an airline committed to providing excellent service to its users at very affordable rates, and hope that the commercial and tourist exchanges generated by this new route will contribute to our region's economic growth." Spirit currently operates 19 weekly US-Colombia flights from Fort Lauderdale/Hollywood to Bogota (daily), Medellin Jose Maria Cordova (five weekly), Cartagena (four weekly) and Armenia (three weekly). However, the route to Cali forms part of a wider network expansion to Colombia from Florida. In early November, the carrier will launch three new services from Orlando to Bogota (daily), Cartagena (two weekly) and Medellin (one weekly). ASM also worked on the business case and forecasts for Cartagena - Orlando, supplementing its previous work on the existing Cartagena - Fort Lauderdale-Hollywood route. According to OAG Schedules Analyser, Spirit’s two-way Colombia-US capacity is set to grow by about 14 percent this year to more than 390,000 available seats. Overall Colombia-US capacity is expected to increase by 13.6 percent to 4.4 million seats in 2018, up from 3.9 million last year. The growth of Colombia-US capacity in recent years has been fuelled by a new open skies agreement which came into force in 2013. At the same time, the US State Department also increased the validity of B-1 and B-2 visit visas for Colombians travelling on a temporary basis to the US from five to ten years. Five US airlines now serve Colombia (Delta Air Lines, United Airlines, American Airlines, JetBlue and Spirit), while routes to the US are also operated by Avianca, LATAM Airlines Group and Viva Air Colombia.